Thursday is Hip Hop Day on the Unity forum. YAY! I'll try to be there as much as I can today. There's prizes, challenges, games, and lots of chatting with some of my favorite people! Speaking of my favorite people, I've decided that I'm making cards inspired by my SCS friends. Teehee! It's so much more fun that just making a card I tell ya! This card is inspired by my sweet friend Ky. I made it bright and colorful, just like her. I tried to make the layout more exciting than my usual since she's more exciting than me. And of course, I had to use a bunny (Unity's What a Pal Bunny) since Ky is our resident Bunny Mommy. She rescues bunnies and gives them an amazing home and lots of love. This is also for the Unity Scrap challenge which is PERFECT since Ky's SCS name is Scrapacat. See what I did there? Aren't I so clever? Here's my card for this week's Clean and Simple Challenge. It was a sketch. I used Unity's Daddy's Little Helper for this card. It's just a super clean and simple masculine/boy card. I didn't want to embellish too much since I wanted to keep it very boyish. This will probably go to one of my son's friends for their birthday. He has WAY too many friends for an almost 2 year old! 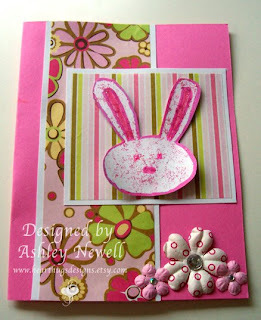 Love the bright and cheery bunny card. It's so FUN! 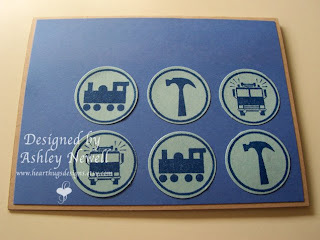 Love your manly man card and great stamps too. LOVE these! I am so loving the CAS look. The bunny card is so cute! It's so great getting inspiration from others! What a cute bunny card!! Love the cheery bright colors!! Great job on the CAS challenge too. What a cute little man card! Love the bright bunny card - the flowers and dp are awesome! cute card Ash! i so recognize that dp! Awww......what a sweet bunny!! Just like Ky!!! !